As we move into 2019, the issue of teacher workload continues to loom large, and answers are proving to be elusive as ever. It’s a problem found across the world, though the UK fares particularly poorly when compared to other countries. 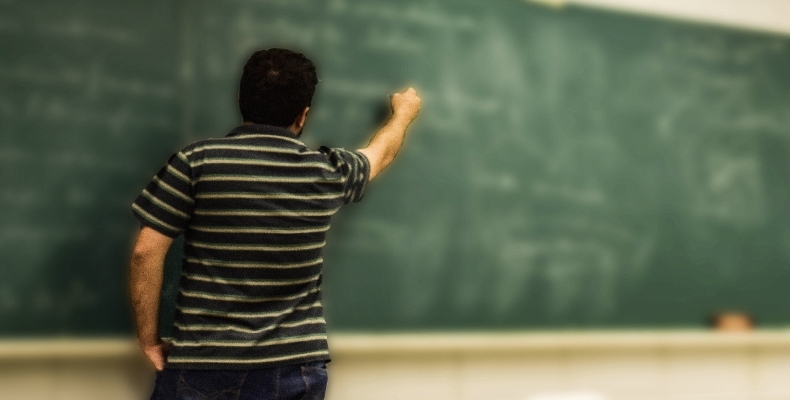 A study by education charity The Varkey Foundation recently found that teachers in the UK are on average working 51 hours per week – the fourth highest out of 35 countries surveyed – and less than half of that time is spent actually teaching. Half of teachers in the UK now say their workload is unmanageable. The UK Department for Education identifies teacher workload as the most important factor behind teachers who leave the profession, and has made a number of commitments to help solve the problem. And, when Education Secretary Damian Hinds last year issued a challenge to the tech industry to launch a “revolution” in schools, one of the five key areas mentioned was reducing teacher workload. Indeed, last week Mr Hinds called on attendees at the Bett show to make smarter use of technology, both inside and outside of the classroom, to make sure that it does not add to teachers’ responsibilities. So how can tech companies answer this call? What edtech is out there, and how successful can it be? Marking, lesson planning, and administrative tasks such as reporting or data management are particularly problematic areas where teachers spend more time than they need to, and the good news is that there’s no doubt that technology can help tackle these directly with hundreds of digital tools currently available on the market. But the question remains of how teachers and schools are supposed to make sense of them all. Of course, situations where technology actually creates more work for the teacher – which can sometimes be the case – must be avoided. Technology can also quickly become obsolete or simply be a passing fad or gimmick. Take the example of when interactive whiteboards were rolled out at great expense to schools in 2004 – without the support of teachers. Research found no subsequent rise in student attainment that was directly linked to that technology, so it’s no wonder teachers are often sceptical. From our experience, the key for edtech to really be embraced is that it must solve specific problems that teachers and schools actually deal with day to day. In the case of teacher workload, this ideally means resolving as many workload bottlenecks as possible, whether these are marking, lesson planning or student monitoring and reporting. The key for edtech to really be embraced is that it must solve specific problems that teachers and schools actually deal with day to day. In the case of marking, written feedback is often laborious, and students may even have trouble deciphering a teacher’s handwriting. That’s why many teachers are already using technology such as iPads to record themselves giving verbal feedback – which can cut the time it takes to mark in half. Many successful edtech products also now offer a combination of written and verbal feedback, via tools such as SeeSaw or OneNote Class Notebook. When it comes to lesson planning, there are many edtech tools available that provide curriculum-ready instructional resources such as videos, interactive activities, online tutorials, and so on. Sharing and collaborating on live online documents via simple edtech tools such as MS Office 365 can further streamline the process, and bring smarter and more effective ways of planning. Teachers can cut the time required to create plans themselves, free up time by avoiding duplication of effort between teachers, whilst also allowing for more flexibility to teach in their own way. Digital products are also now available that provide entire courses online, broken down into pre-prepared lessons, assessment materials and student activity monitoring tools, greatly reducing time spent on course preparation, marking and reporting, while also allowing teachers to flip their classroom if desired. In such cases, with course content all on one online platform accessed by both student and teacher, the time that is freed up for teachers is considerable, and enables them to focus their efforts more strongly on teaching in the classroom. Of course, not all schools are ready to move to such an environment, but we are seeing momentum in this direction. Our own research, conducted in partnership with Polar Insight, has shown that 93% of IB World Schools, for example, already utilise technology to some extent to support teachers with their lesson plans and student monitoring, while the proportion using digital course delivery is expected to increase from 30% to 47% in the next five years. Nevertheless, successfully integrating new digital tools can be a challenge, and teacher training and ongoing support remains vital for success. While reducing teacher workload is a complex problem that isn’t likely to go away anytime soon, I believe effective use of technology has a role to play in easing the burden and can furthermore help teachers embrace edtech more generally. To help realise the potential for edtech to tackle teacher workload, we must ensure interoperability of tools remains a key consideration, make sure teachers are digitally literate and trained, and encourage teacher workload to be a central metric for schools, government and edtech companies so that the efficacy and impact of solutions can be measured accurately. The payoff could be immense, as teachers finally begin to see technology fully supporting them to do what they do best: teach. Will edtech benefit from Hinds’ bite?